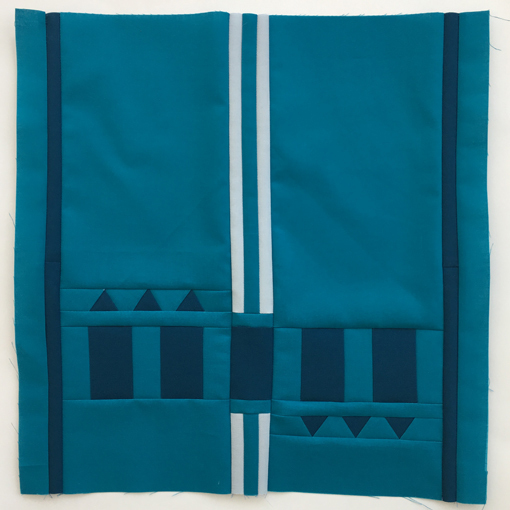 The inspiration for the design of my quilts literally comes from my every day life. Sometimes I’m inspired by objects and events that bring me joy, but sometimes it’s the mundane and borderline torturous things that spark something. The latter was the case for my Road Work quilt. 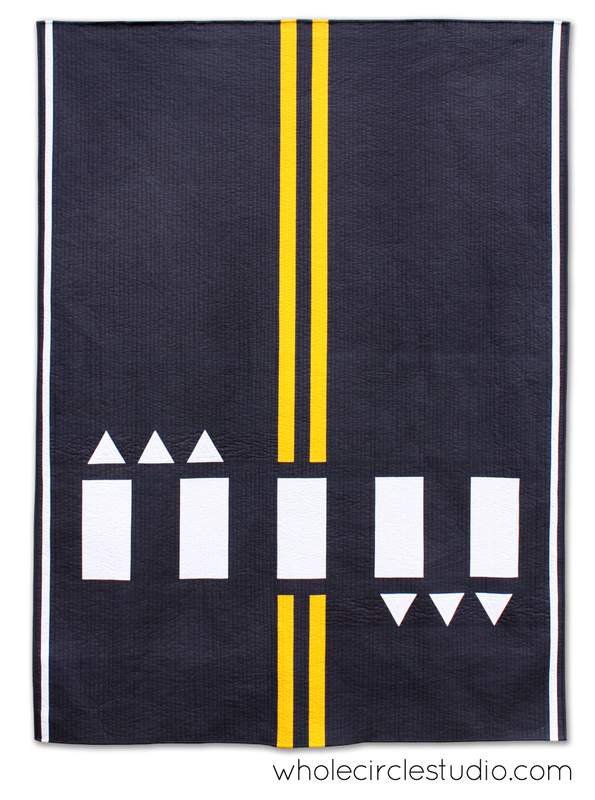 Four days a week, in order to avoid bumper to bumper traffic on the highway, I drive, or should say crawl along, on this stretch of road. 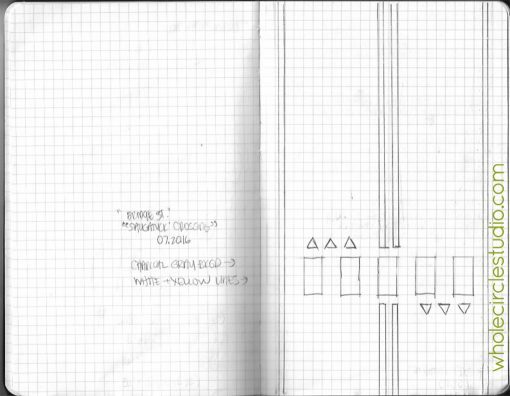 The first step for designing this quilt was sketching it out on graph paper. It sat untouched in my sketchbook until last fall when I drew it in Adobe Illustrator to begin to develop the pattern. Then, life got busy. Earlier this year, I decided it was time to dust off this design and dig in. While writing the pattern, I constructed the twin and mini size versions of Road Work in “traditional road colors” using Robert Kaufman Kona® Cotton Solids—Charcoal, Sunny and White. 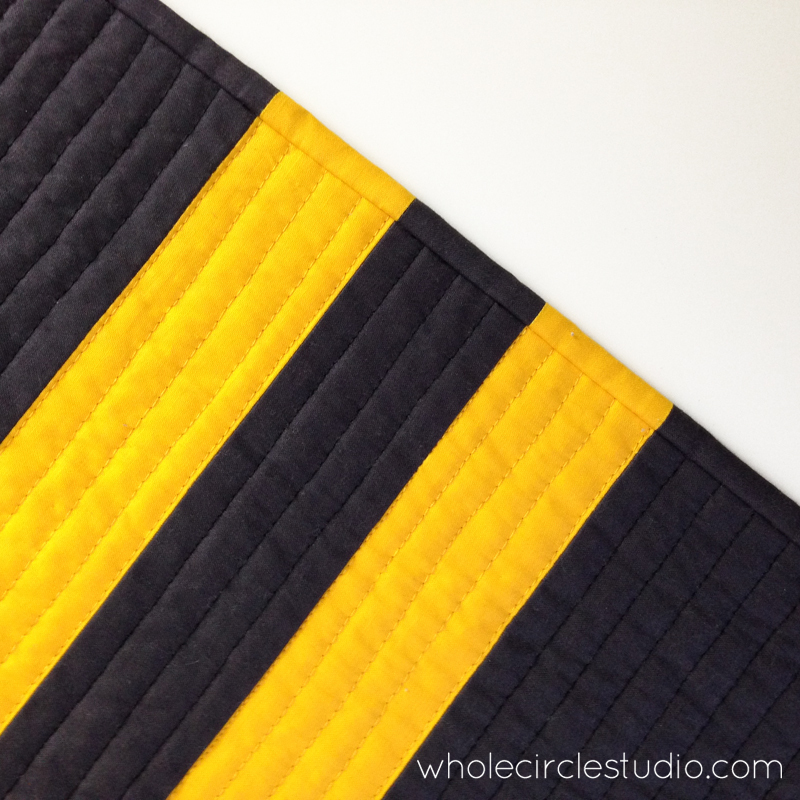 This quilt started my latest obsession of color matching the binding to the perimeter of the quilt. 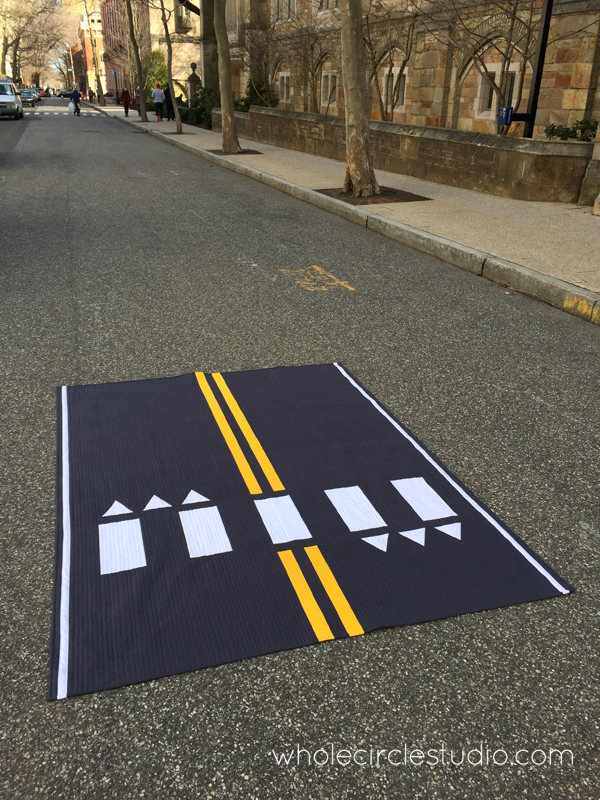 Once it was complete, Jason and I had a lot of fun with a mini-photoshoot of the quilt in New Haven. Yale University was out of session at the time, so we didn’t have to contend with too much traffic! 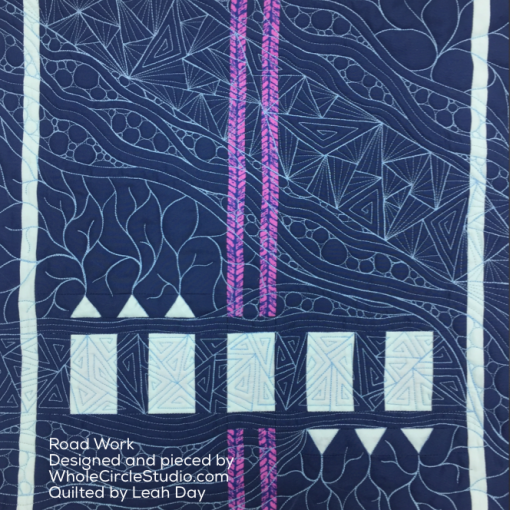 I shipped the mini version of Road Work to Leah Day as part of a collaboration. Read about it here. 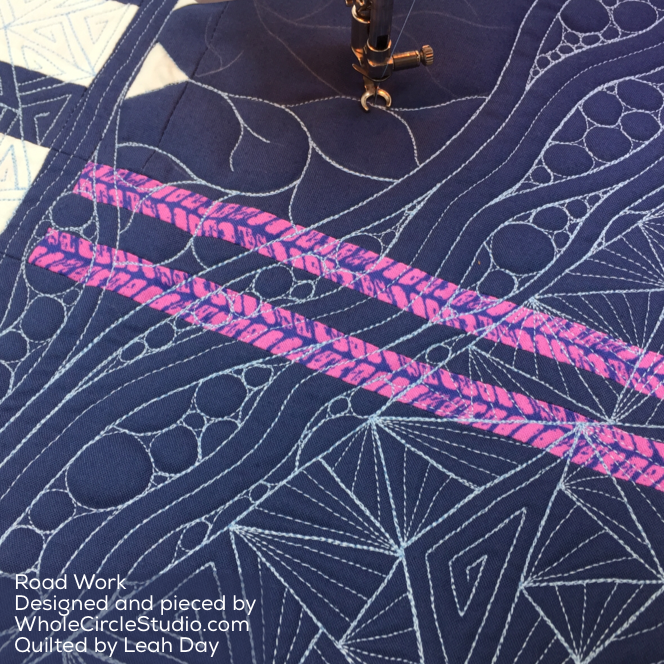 Once I felt pretty confident with the draft of the pattern, I shipped it off to my testers (see below for photos of their Road Works). While I waited for their comments and suggestions, I dug into the queen and throw size versions to triple check the instructions. 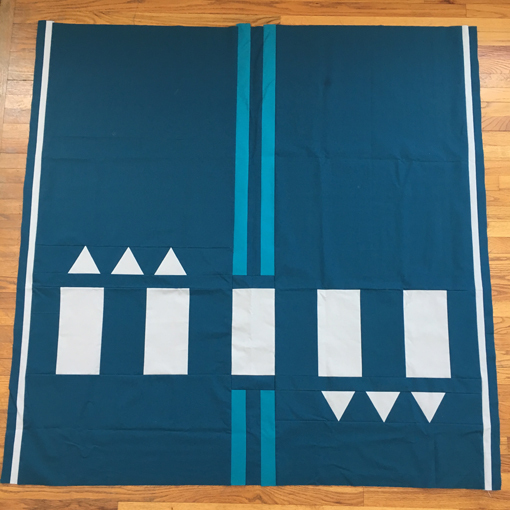 I wanted to pick color palettes that were different than what I normally work with and that were different than the twin size to show how versatile the pattern is. 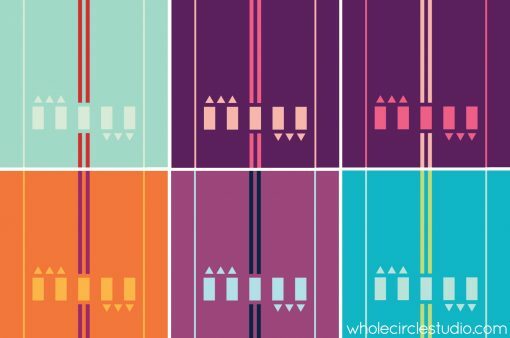 To help select colors for the queen size, I first did some color studies. 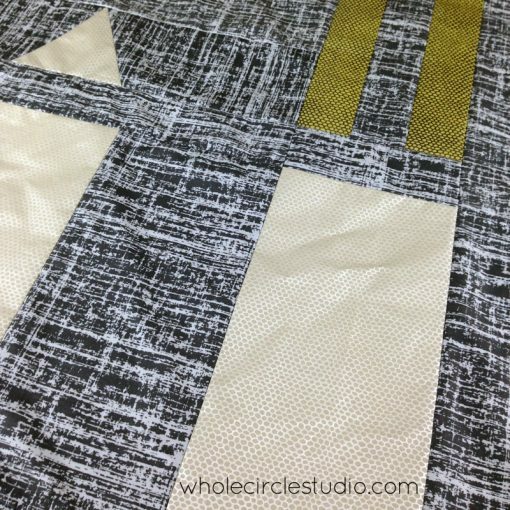 I decided to make my queen size Road Work with Paintbrush Studio Painter’s Palette Solids in Dare Devil, Maize and Wine. 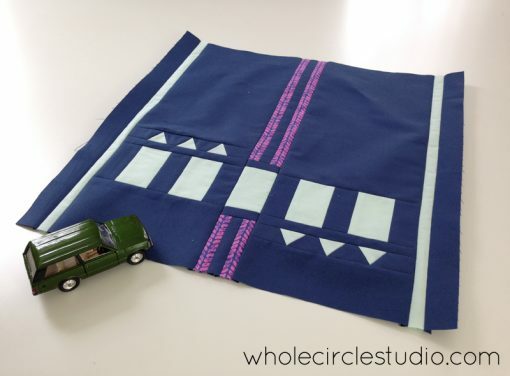 I wanted to use my walking foot again to quilt it. 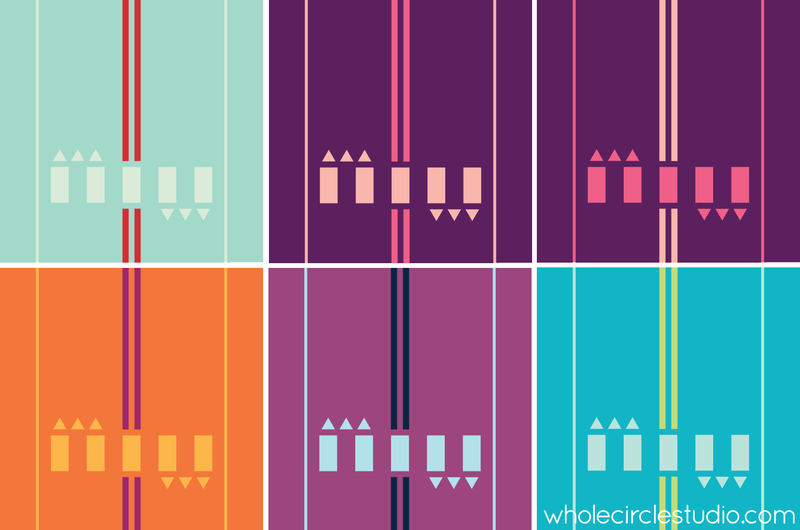 I really liked the structure of the straight lines in the twin version, but wanted to mix it up. 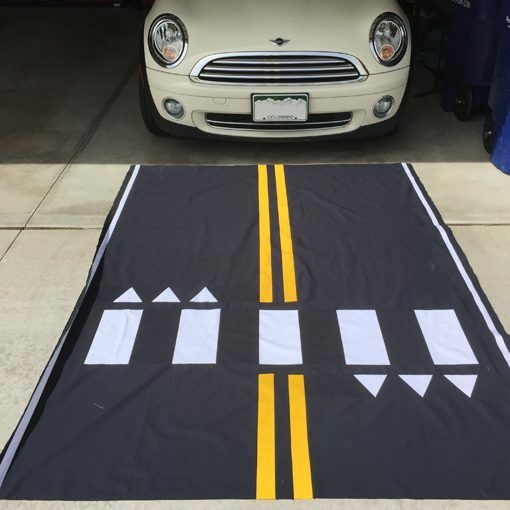 I decided to go with zig zags to mimic the pattern in the car tires that drive over the road and to indicate direction of the drivers. 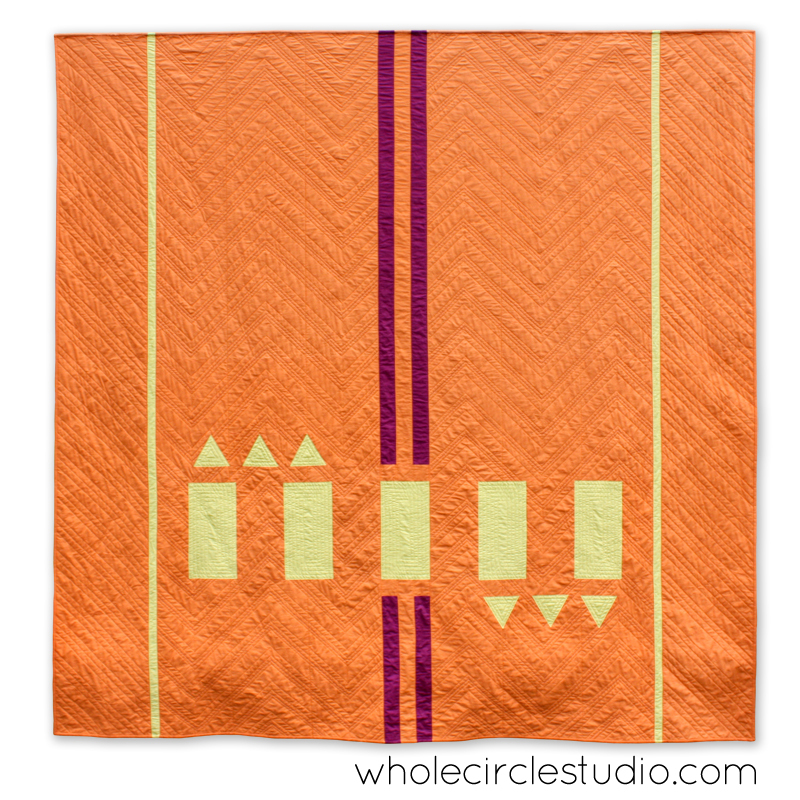 I used Aurifil Bright Orange 1133: 40wt, Pale Yellow 1135: 40wt, and Dark Carmine Red 2460: 40wt. My throw Road Work top is completed, but not quilted (yet). 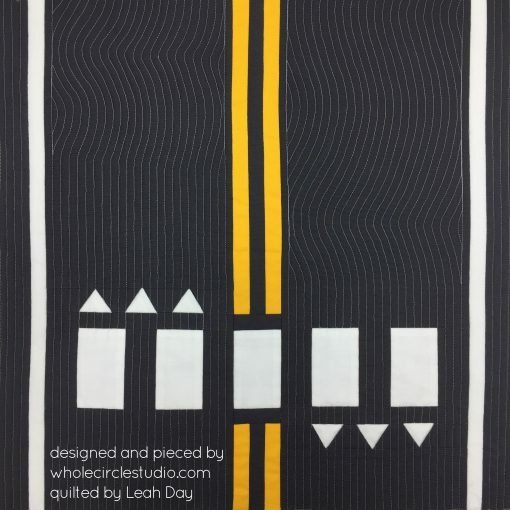 Any suggestions for quilting? Please leave a comment below. For this version, I decided to use subtle prints with a little bit of shimmer. I also made a bonus mini quilt and sent it to Leah as part of our collaboration. Check out the before and after (and her crazy, amazing quilting!). Again, you can read more about the process and quilting here. 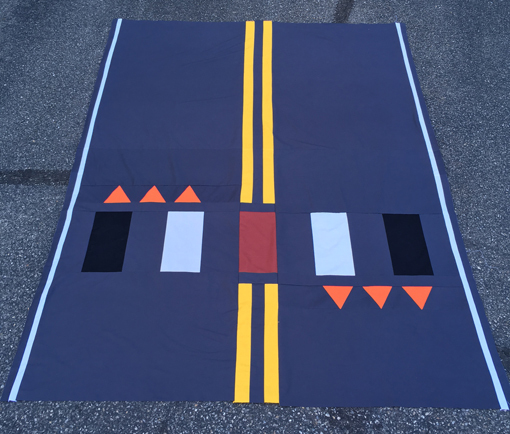 Check out these Road Work quilts made by my testers! 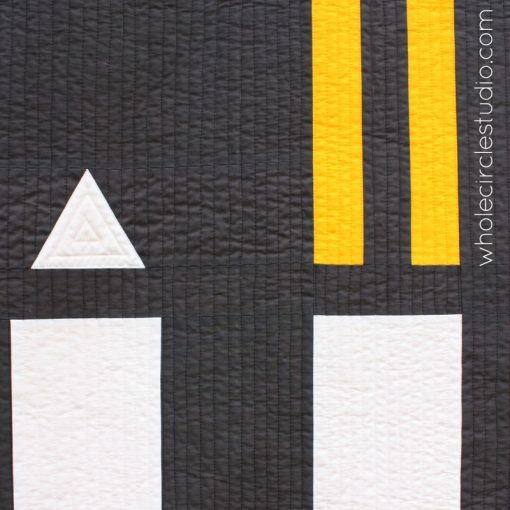 Inspired and want to make your own Road Work quilt? 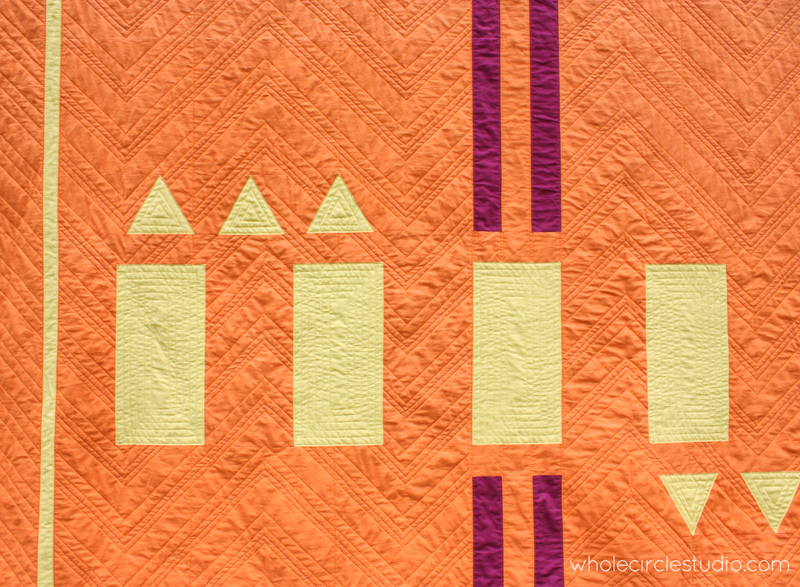 It’s an easy quilt top that can be completed in a weekend. 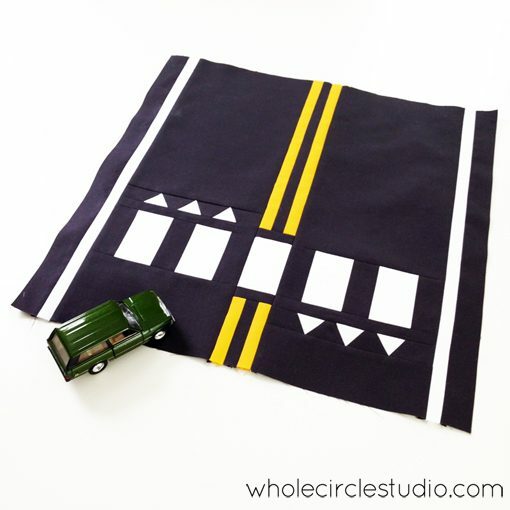 This quilt is perfect for a kid’s bed, a play room or to use at a car show. Instructions are provided for four sizes: Throw, Twin, Queen and Mini. Get the pattern here. 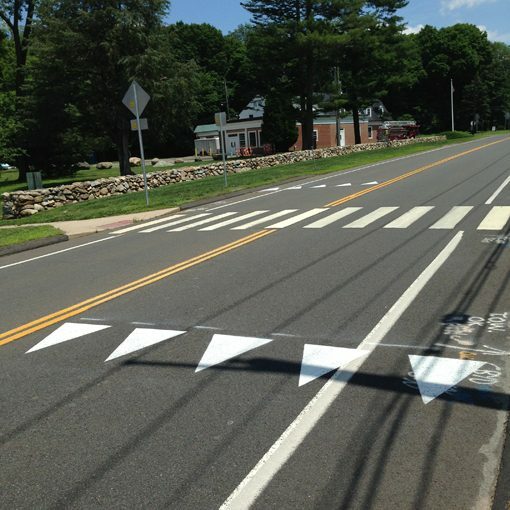 If you make Road Work, be sure to send me a photo. I’d love to see your version of Road Work! 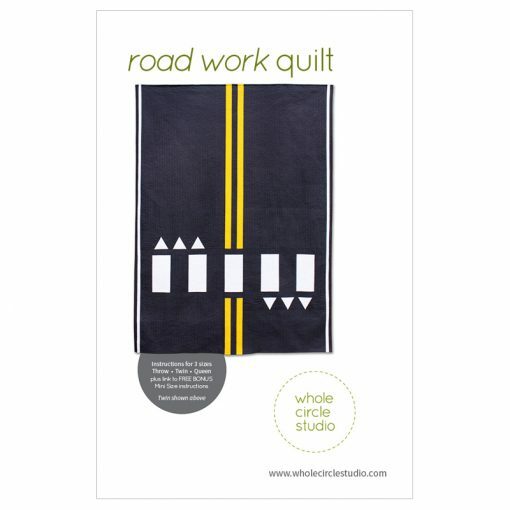 This is such a fun pattern and I love the source of inspiration – how wonderful to take a slow drive into work and turn it into a quilt! I think that the mini quilt in subtle prints looks like a rainy day, and it makes me think of quilting lines in puddles and raindrops, etc. Congratulations on your pattern release! Thanks for the kind comments Yvonne. 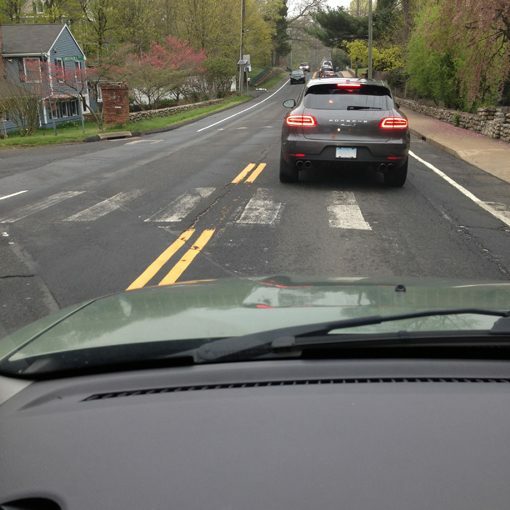 Yes—I do see how the muted color palette looks like a rainy day. Hmmmm…. 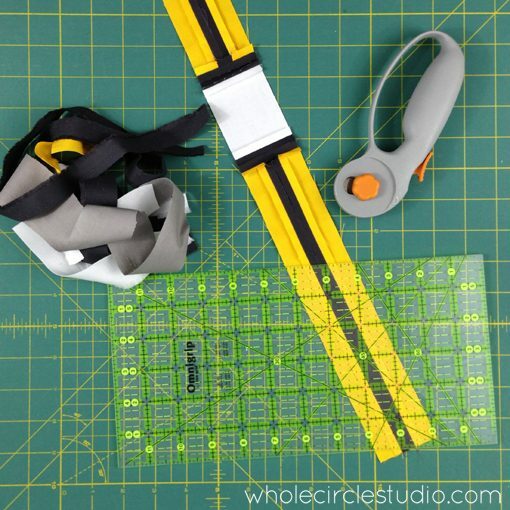 maybe some free motion quilting will be needed for that quilt! Thanks for the idea! I love these! I’ve been taking the same path to work for a number of years now and in a particular stretch of the road, there is a bit of an issue regarding right of way. I’ve often thought it would make a great quilt, but I can’t quite get it to work. These variations are beautiful. If I ever get this quilt done to my liking, I will let you know. Thanks for the inspiration! Hi Pam. Thanks for sharing! 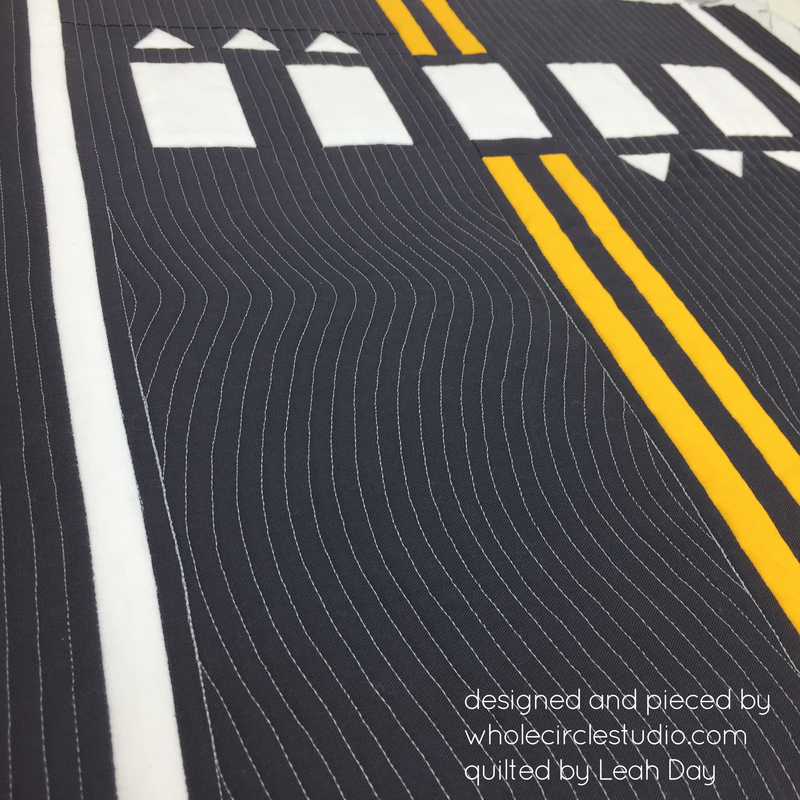 I look forward to seeing your road-inspired quilt! That’s a really fun quilt design! 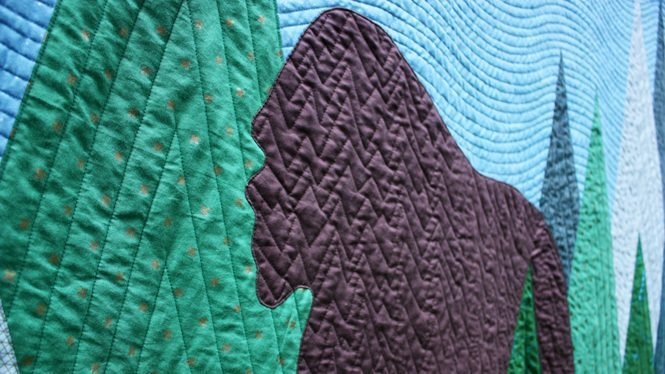 Love seeing it in so many variations of color, and the quilting just adds a whole other dimension of interest. Well done. Hi Pamela. Thank you for your kind words and for visiting my blog!